About 100 UChicago students demonstrated Friday in solidarity with students at the University of Missouri and Yale University. In past weeks, students at these colleges have protested what they characterized as unsafe and isolating racial climates on their campuses. The protests at Missouri and Yale resulted in hostility and death threats directed toward Black students. “The concerns of black students at the University of Missouri and Yale are being heard around the country, and for that, we thank our black peers for having the courage and bravery to call for change in environments they have deemed unfit for black students. 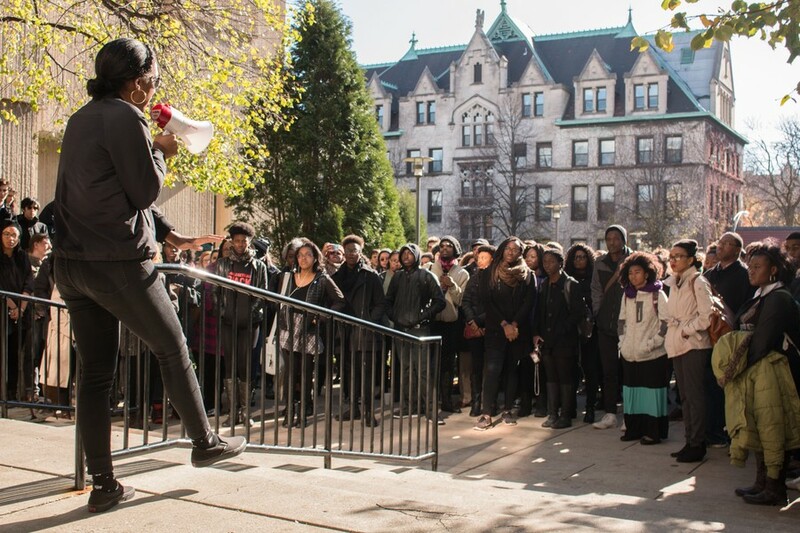 We, black students at the University of Chicago, hear them, support them, and have been inspired to take action on our campus,” OBS’s official statement said, which third-year Stephanie Greene, president of Organization of Black Students (OBS), read to the crowd. Students who identify as black were told to wear all black to show support for one another. It was also representative of the black clothing associated with the “Black Lives Matter” movement. “I thought it was a great way to show solidarity with those at Yale or Mizzou and a way to publicly vent about some of the very real problems students of color face,” first-year Kaela Bynoe said. Third-year Cosette Hampton then led a moment of shouting, in lieu of a moment of silence, in which about 30 black students screamed their frustrations while the rest of the crowd listened silently. “We deserve to scream. We deserve to let our anger out. We deserve to let that hurt out. We are hurting for our students at Mizzou. We are hurting for our students at Yale,” Hampton said. Hampton told her fellow black students to, “Let out the hurt, let out the pain, and let out the power you have inside,” as they shouted. “The intent was simple: to lift our spirits after hearing some emotional testimonials, and to demonstrate that together, students of color will be able to not only make it through these issues of race on college campuses, but to be the reason that they are ended,” first-year Mariam Desta said. This demonstration of solidarity with protests at Yale and Mizzou also showed support for black students at UChicago, according to organizers. “It’s very easy for black students to feel as if they’re alone here. 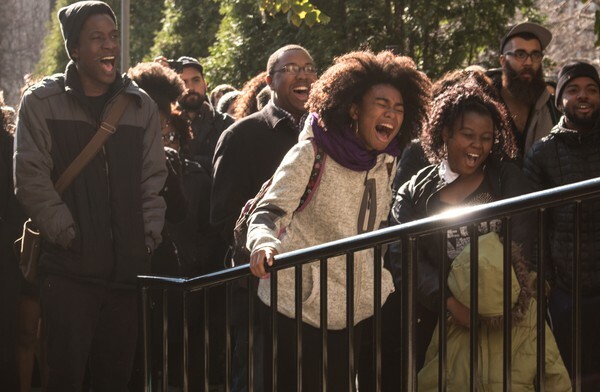 You could be the only black student in your house, one of the two black students who live on your floor, the only black student in your class quite often, and you could quite literally feel as if you are one of a few,” Greene said. Immediately following the event, leaders and staff members of OBS and the Center for Identity and Inclusion opened the community lounge for students to continue discussion.